Willow is the new full silicone doll kit hand sculpted by Claire Taylor and being offered by Claire Taylor Dolls as blank kits to silicone doll painters to make their own dolls. Collectors are also welcome to buy blank kits for their favorite silicone painting artist to complete for them. Willow asleep edition will be 15 silicone doll kits and 3 prototypes. Please scroll down to see the silicone doll kit information below the prototype information. 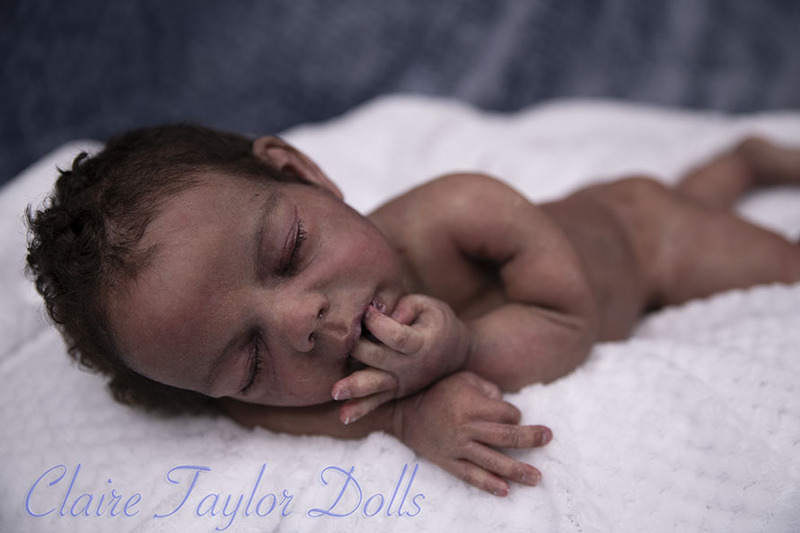 The three prototypes are the only dolls being completed by Claire Taylor. There will be no custom painted kits by Claire Taylor. The prototypes will be posted here when they are available. The first prototype is now available. I will be taking offers above $6,500.00 USD until 9 pm Sunday March 24th, 2019. The offers will be confidential and private. I will not discuss with any collectors who has made offers, but I will let you know if you have the highest offer at the time you place the offer, If I receive a higher offer, I will let you know you no longer have the highest offer. There is no additional costs for shipping. You will be responsible for any custom taxes charged by the authorities in your country. Please contact me before making an offer with any questions or concerns about shipping. 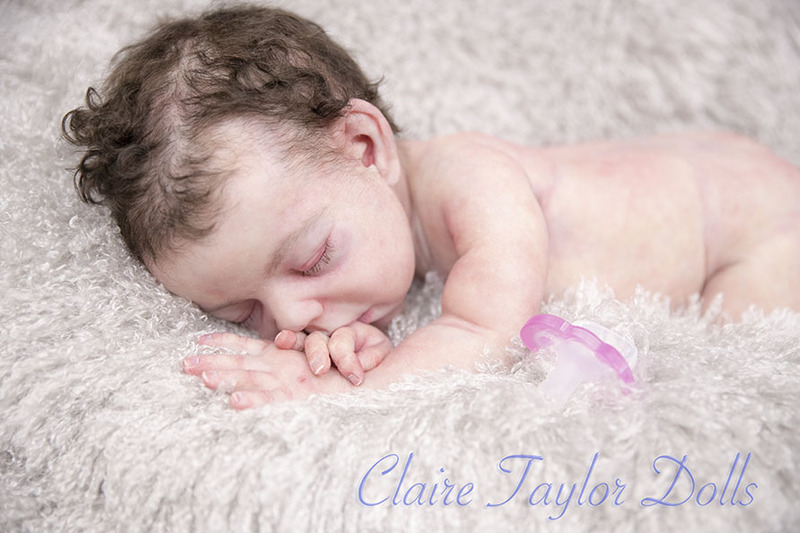 To make an offer, Please contact me at info@ClaireTaylorDolls.com Payments will be invoiced through PayPal. If you have any questions about Payment please contact me before making an offer. Click on the picture below to go to her web-page and see pictures and a video. Options are: elbow armatures, full armatures, drink and wet, boy or girl. Willow asleep edition will be 15 dolls and 3 prototypes. After the prototypes are sold, some of the kits will be made available for purchase, they will be already poured and ready to ship. Some of the kits will have various options already in place and you choose kit without options or with the options you prefer. I will announce the date and time ahead before listing the kits. Shipping calculated based on location. The options included with a specific kit will be included in the listing information when the kits are available. The kits will be invoiced by PayPal, and Lay away will be available. Pay in full and your kit will be shipped one day after completed payment is received Monday-Thursday. Friday - Sunday will be shipped on the following Monday, except for holidays when the PO is closed. Please contact TaylorDollKits@gmail.com to purchase your kit. All communication for purchasing the kits and follow up will be exclusively through this email. Sign up for my mailing list to be notified when new kits are listed on the website. Lay away is $600.00 USD non refundable deposit down and remaining payments for up to 6 months. After the prototypes are sold, pictures of the blank kits will be posted here. I will also post pictures of the kits that are available. Each will show the with information about the optional features, price and Lay away information.